For the greyhound puppy, see Greyhound puppies (first litter). 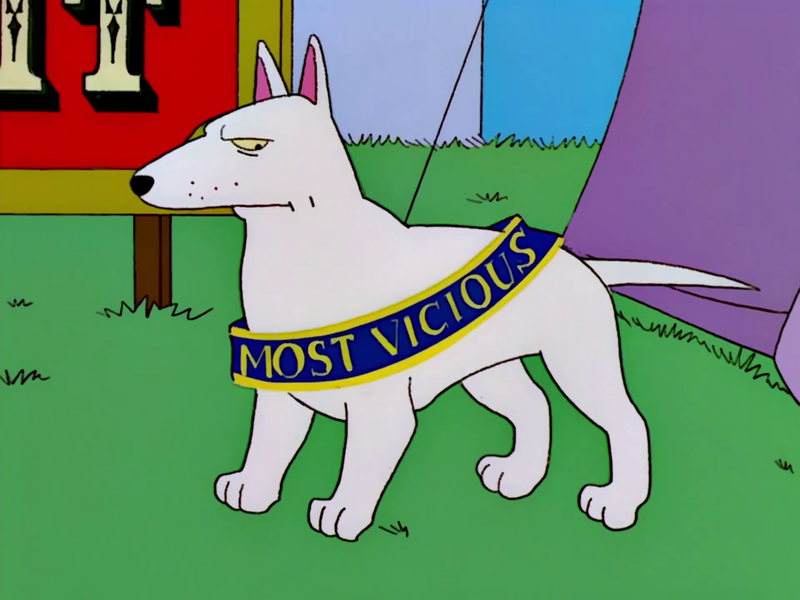 "The Lastest Gun in the West"
Rover is a dog that was determined to attack Bart. Rover used a friendly look to make everyone except Bart to like him, and to make Bart first believe that he was a good dog. He was briefly adopted by the Simpson family and was calmed from chasing Bart by Buck McCoy and eventually went back to chasing Bart again. The dog appeared in a documentary about holes. Rover dug a hole, which Rainier Wolfcastle said was a ritual as old as time itself. ↑ "The Lastest Gun in the West"
Modified on June 9, 2018, at 14:14.